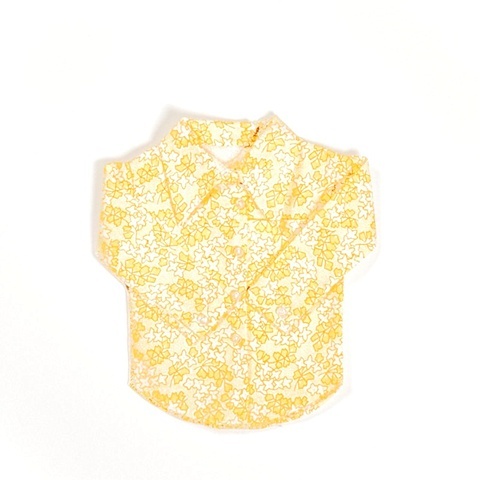 This is a typical leisure shirt made from a Waverly fabric that is still in production. Waverly is best known for the array of fabrics that are produced for quilt-makers. This particular design was introduced in 1997. This shirt has a long pointed collar, straight sleeves with open cuffs and a rounded hemline. It also has a patch pocket on the upper left side.